A few years ago, a friend gave me a New Year’s checklist to help me focus and prepare with intention the year on the horizon. I took the list, answered the questions and ran with the results, no looking back. As a result, there were things I stopped doing and things I began doing differently. I made changes in my life that were closer in alignment with who I really am. I have to admit that I am happier now than I ever have been in my life and experience more freedom than I ever could have imagined. I owe much of those benefits to getting clear about what I really want in my life and getting rid of things that simply don’t work anymore. These 20 questions are now an important part of my annual New Year’s Day ritual. I promise, if you answer these 20 questions, you will experience your best life yet in 2015 and continue to for years to come. The list (altered slightly from its original) is designed not only to set goals for the next year, but also to take an inventory of the past year, to bring gratitude and the appropriate learning to the experiences you’ve had, so they can inform and guide you in making decisions for the year to come. You can use the list as an overall analysis or apply it to different areas of your life like finances, career, relationships, etc., depending on how in depth you want to go. Taking a close look behind you and ahead is important, not only to set clear goals about what you want and need, but also to help you appreciate the life you have and to help you become more and more the person you were designed to be, the one you know is living deep within your soul. 1. What is the best thing that happened to you in 2014? 2. What attributes in others inspired you the most in 2014? 3. What was the smartest decision you made in 2014? 4. What was your greatest learning decision in 2014? 5. What brought you the most joy? 6. What was the most challenging experience for you in 2014 and what did you learn from it? 7. If the person or situation that caused you the most pain and grief in 2014 was actually a blessing in disguise, what is the blessing and how might you celebrate it? 8. During 2014, what did you do for yourself to grow personally, physically, emotionally, spiritually, financially, relationally? 9. What three things are you most grateful for? 10. What story or excuse are you willing to let go of in order to move forward in 2015? 1. If you didn’t care what anyone thought, or what it cost, what would you love to do more than anything in 2015? 2. What one baby step could you take in the direction of doing what you love in 2015? 3. What is the one thing you could implement in your life in 2015 that would support you most in attaining the life of your dreams? 4. If you could become more like the people you associate with, whom would you like to spend more time with? 5. 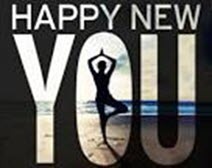 What can you do to take better care of yourself in 2015? 6. What are you looking forward to learning in 2015? 7. What contribution do you want to make in 2015? 8. What can you do differently to be a better person, parent, friend, spouse or love partner? 9. What requests are you willing to make in 2015 to get what you want? 10. If 2015 were the last year of your life, what would you do differently? If you’re ready, take a pretty piece of paper, write out these simple reminders and post where you can see them every day. What is 2015 about for you (one word) – the theme for the year? Craft one distilled intention for the year. List 3-5 Action Steps – how are you going to make this year yours? Three Cheer to 2015!! May it bring to you all that your heart and soul desire!